Why do many businesses shy away from giving young people their first job? The reason often cited in the press is that they don’t have the right skills or attitude, but surveys of employers show that it is more that young people lack experience of the workplace. It doesn’t take long to figure out how to cure that. If we want young people who are ready for the workplace, we in business need to help give them that experience and that chance to make the transition from school to work. Even in tough economic times, opening up your business to young people is worth it. In my experience, young people often bring fresh ideas and approaches which open up new and emerging customer groups and markets. A younger perspective is valuable where markets are rapidly changing or rely on a youthful customer base. Young people are cost effective to recruit and train. Apprentices, for example, pay for themselves very quickly. Investing in young people brings you returns in commitment and loyalty. 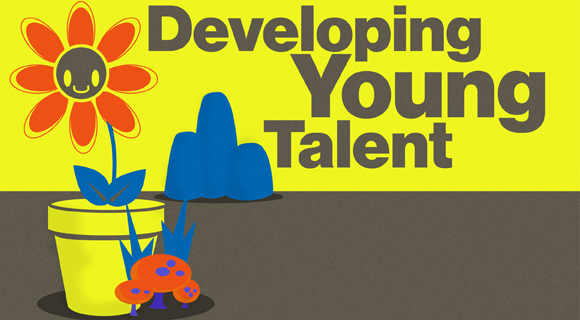 Nurturing and unlocking their talent will motivate and engage them even further. Involving your existing staff in mentoring and supporting young recruits increases their motivation and confidence, and can be a good way of developing management skills. These are just a few ways in which young people can benefit your business. There are many more. What can your business do to help young people? The UK Commission for Employment and Skills is encouraging every employer in the UK to adopt a youth policy. This isn’t a piece of paper or a government initiative – it’s simply a conscious decision to do at least one thing to support young people in their community. There’s a huge range of possibilities – from offering Saturday jobs or Apprenticeships, to mentoring young people, providing work experience or giving careers talks in schools. All employers can do something - simply tailor your commitment to suit the time and resources you have. What are we doing at Siemens plc? Siemens has been in the UK for well over 150 years. Learning has always been part of our culture, and has been central to our success. The company has an education programme that starts at primary school and continues through to graduate level. Our long-standing Engineering Apprenticeship programme attracts approximately 6,000 applications each year from which Siemens recruits 140 apprentices (16 to 18 year olds). We aim to recruit 30 per cent of our graduates from our apprenticeship ranks, building career steps for school leavers that go all the way from the shop floor to the boardroom . We know that experience of work is useful when recruiting young people to our Apprenticeship programme. That’s why we have direct and active partnerships with local schools that enable a wide range of activities to help introduce students to the opportunities that the world of work in Engineering can provide. . While this may be well and good for large companies like Siemens, SMEs lie at the heart of the economy, and today’s SMEs will be tomorrow’s major employers. That is why we at the UK Commission for Employment and Skills feel it is so important for every company, however large or small, to establish a youth policy. The commitment to help young people make that transition from school to work is something the whole business community needs to get involved with. Every enterprise has its roots in the communities in which they grow and the long term success of every growing business will depend on developing the next generation of world class professionals. That means that as business leaders we have a responsibility to the communities we live in and to the young people who need that first step up into a job. Are you ready to rise to the Youth Employment Challenge and do #just1thing to help young people? For ideas and inspiration, have a look at our useful guide, Grow your own: How young people can work for you. It is essential for growing companies to give opportunities to young people. We taken on work experience students every summer, from GCSE students to undergraduates, as I get so frustrated when I see CVs from candidates that are full of qualfications but zero experience. Adding young people to your team is great for team motivation as they bring a fresh approach, with hopefully little cyncism and a craving for learning. For my web design business I prefer younger people because of their willingness to learn and develop. This investment for sure will yield higher return in the long-term. Although at the beginning we experienced increase in development time and maintenance costs, very quickly our new designer developed skills and talent. I find younger people loyal to systems and policies while older people don't accept change. This I believe applies to all industries especially in task specialisation firms where each person is assigned a certain task at least it works very well for our web development business. Young people bring a bundle of energy and enthusiasm that is almost unrivalled, however, there are also negatives that come with them.. Among them is that they are often immature which makes them slightly unreliable and at times irresponsible. Younger apprentices are also prone to quitting in the first year. I have friends who are older and want to complete an apprenticeship as an adult, but lose out on places because employers get money for younger apprentices, even if they aren't as good as an older apprentice. Schools should really educate kids on apprenticeships and explain the realities of them it would go a long way in decreasing drop out numbers.